Our first Outrun Cancer in Arundel to celebrate World Cancer Day. For results and photos, click here. Get in touch for more information, or to book a place. Join us in our major fundraising event and OutRunCancer to raise money for Cancer United. From the moment you contact us we can, through cancer exercise, help you on your cancer journey, even if it’s at the point of your diagnosis. Whatever your level of fitness, join us for gym exercises and a range of classes. OutKick Cancer is our newly formed walking football team and we are launching CU Fitter swimming, the UK’s first and only bespoke swimming exercise programme for people with cancer. We run weekly Active Recovery support groups where members can talk about their “new normal”, learn from and support each other. 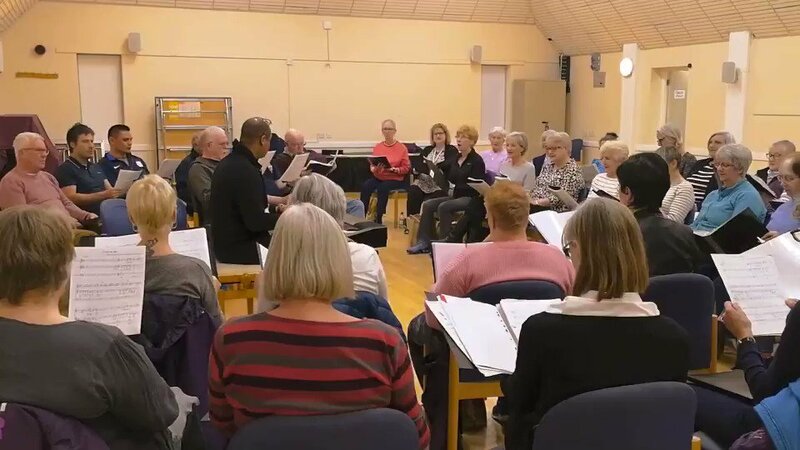 Our popular choir OutSing Cancer meets weekly and has an impressive diary of appearances. CU Fitter™ is the first structured, cancer-specific exercise training programme of its kind. This accredited training course is targeted towards personal trainers, exercise specialists, physiotherapists and related healthcare practitioners. Learn to deliver CU Fitter exercise to people at any stage of their cancer journey. The importance of physical exercise for cancer recovery and prevention of recurrence cannot be stressed enough. To get a better understanding, watch our slideshow video or follow the links to find out more about the research.